This set of 3 nest of tables will make a great addition to your home décor. Funky geometric design that will add some quirky, vintage style to the living room. In 3 different sizes with the 2 smaller tables nestling comfortably inside the larger table. This set is a great space saver and will look fantastic in the living room, used as a full set or individually as side, occasional or plant tables. 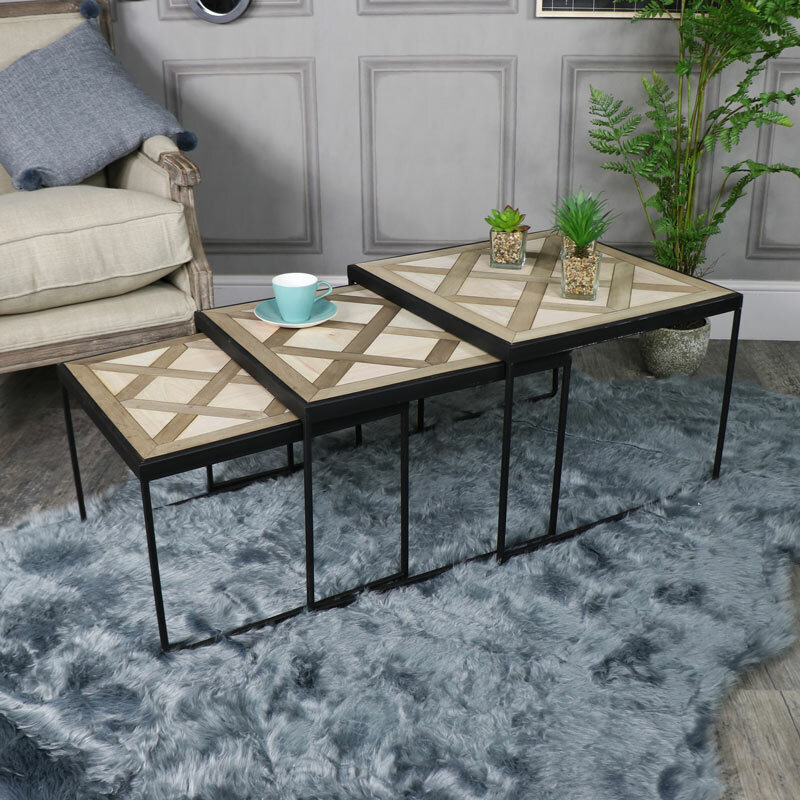 These tables will look great in a modern, traditional or boho style interior. 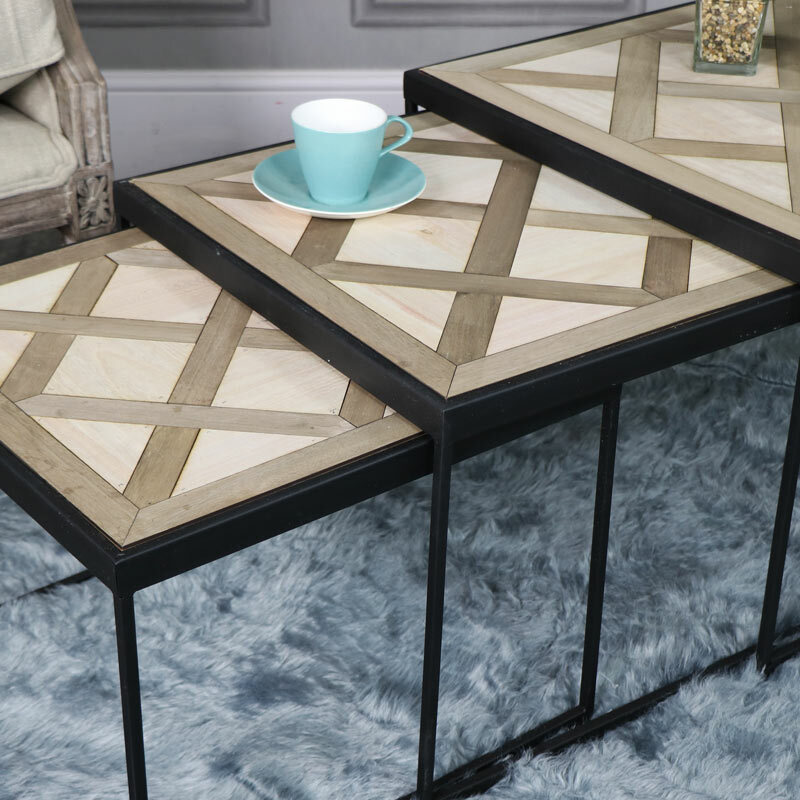 This set of 3 nest of tables will make a great addition to your home décor. Funky geometric design that will add some quirky, vintage style to the living room. In 3 different sizes with the 2 smaller tables nestling comfortably inside the larger table. This set is a great space saver and will look fantastic in the living room, used as a full set or individually as side, occasional or plant tables. These tables will look great in a modern, traditional or boho style interior.